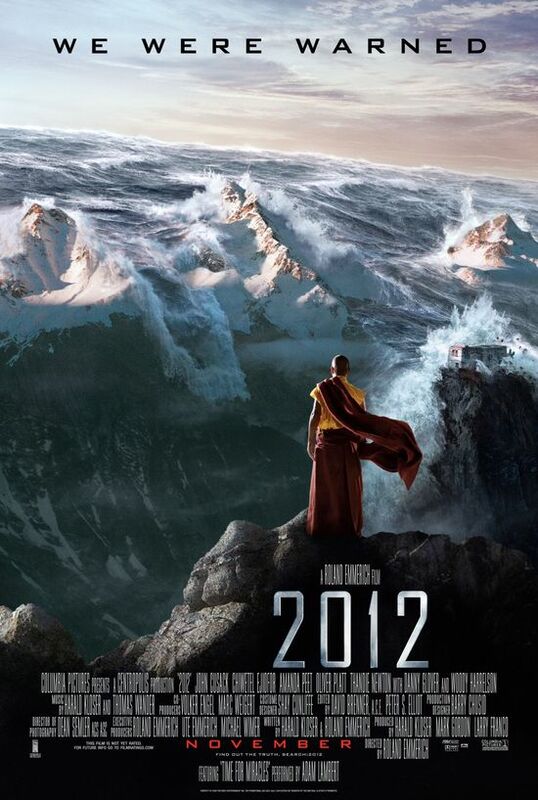 The world came to an end on December 21st, 2012. Yet remarkably we are still alive. Rumors about the end of the world seem to happen nearly every year, but this one got worldwide attention. So much so they even made a movie about it. Supposedly, that date – December 21st, 2012 – coincided with the end of the Mayan calendar and that end was predicted to be the trigger for a massive apocalypse. Many different theories emerged about how that was going to happen. Some believed that the gravitational effects of an alignment between the Sun and a massive super black hole would rip the earth apart. Some believed that the Earth’s magnetic poles would suddenly be reversed, releasing energy equal to 100 billion atomic bombs. And some believed that the mysterious planet Nibiru would come crashing into our planet on that particular date. Needless to say, none of those things happened. But “end of the world” hypotheses are a dime a dozen. Everyone from Pat Robertson to Pope Innocent III back in 1284 has at some point predicted the Earth’s demise. Sir Isaac Newton, yes the gravity guy, predicted the end of the Earth would happen in the year 2060 and he based his prediction on Biblical Scripture. As Christians, the end of the world seems to have special significance because we believe that it’s tied to the return of Christ. Some believe that prior to Jesus’ return, God’s chosen people will be taken up to Heaven in an event called the Rapture where literally people will simply disappear. For a while there was even a service that would take care of your pets in case you were taken up. It was called Eternal Earthbound Pets USA and they were a group of loving atheists who, for the small fee of $135 dollars to cover travel costs, would take care of your pet in case of rapture. I guess they assumed that God wouldn’t take pets. But you could rest easy knowing that your pet would be well taken care of by a loving atheist. Unfortunately, they didn’t get enough business and had to close up shop. But these end of the world predictions do serve at least one useful purpose: they make us think about two important questions that we would otherwise like to forget. Where will you go and how do you know? Where will you go and how do you know? Where will you go when you die and how do you know you’re going there? We don’t often like to think about our death. Maybe it’s because we are afraid. Maybe it’s because we don’t really know the answer. But it’s two of the most important questions we could ask because it affects our eternal future. Life on this planet will only last about 100 years if we’re lucky. But our eternal life by definition will last forever. And yet we don’t spend very much time thinking about it. Now, it could also be because most of us are pretty sure where we are headed. According to an ABC News poll done in 2005, about 89% of people believe in Heaven and 85% of people believe they are going there. That’s a pretty high percentage rate and you have to wonder why that many people are so sure. Generally it all goes back to the premise that good people go to Heaven. And to be honest, it’s a premise that seems to make sense. I mean if you live a good life and you do good things then a good and loving God would want you in Heaven, right? We tend to believe that rule applies to just about everyone, whether or not they are Christian. We figure that good is good no matter what your religion and that God would recognize that, but there are some real problems with that assumption. First of all, how good is good enough? That’s the question Andy Stanley asks in his book of the same title. How good is good enough? We’re going to talk about that over the next few weeks and explore the answer to this question, how good is good enough? What’s the level we need to achieve to make it into Heaven, because God doesn’t tell us anywhere. You would think for something as important as that, God would have told somebody or written it down somewhere, but nowhere do you find a definition for “good enough.” In our heads we have sort of a cosmic balance sheet going on with a running total of good things we’ve done and bad things we’ve done and we feel that as long as we’re in the plus column, then we’ll be okay. But what’s the percentage? Is it just that you have to be 51% good, you know just barely tip the scales in your favor? Or is it higher than that, because on most tests 51% would be a failing grade. Is it 70%? If you’re good 70% of the time do you pass? And if we’re all bad anyway, does God grade on a curve? I mean maybe 70% is too hard for most of us to achieve. “Okay, everyone above this percentage, you all get in. Sorry 59%. The cut off was 60%.” When you take a test at the DMV you know they’re not letting you behind the wheel with a score lower than 70% and considering how bad some drivers are on the road, maybe they should raise that score. Seems 70% is too lax. But at least you know. Surely God is more fair than the DMV. But he doesn’t tell us anywhere how “good” we have to be. Some would argue that God gives us an internal barometer of right and wrong. That we can use that to determine how good we are. But how reliable is that barometer? Some things are pretty obvious. Everyone knows that it’s wrong to cheat, steal, lie, and kill. We would argue that people sort of instinctually know that across all cultural boundaries. But do they? Are there times when we lie to save someone’s feelings? We don’t seem to have any problem killing animals for food, but in some cultures they eat animals we would never think of eating like dogs. Is it okay to kill them or raise them for food? Our perceptions of right and wrong don’t just differ culturally, but also across time. We’ve labeled everything from being a woman, to being dark-skinned, to being left-handed as bad, evil, or wrong at some point. In the 2000 years that Christianity has been around it was only in the last 50 that interracial marriage became acceptable. And even then, not by everybody. My friend Jon and I used to play a card game together called Legend of the Five Rings and one day the topic of church had come up, and he mentioned he doesn’t go anymore. It made me wonder why he said “anymore” so I asked and his answer was another question. He pointed at this mixed race couple playing a game just a few tables away. The guy was black and the woman was white and he said, “If they walked into your church and asked you to marry them, what would you say?” I told him, “I’d say that was fine. Why wouldn’t I?” But I already suspected the answer. He told me that a while ago, a friend of his who was black wanted to marry a woman who was white. When they went to her pastor to ask him to perform the ceremony, he told her that he wouldn’t do it because it was “an abomination in God’s eyes.” Jon said, “And after that, I wouldn’t step foot in a church.” What we believe is right and wrong isn’t even consistent within cultures let alone between cultures or across time. So how reliable is that internal barometer? But let’s look at what God says about us and about his standard of being good. If you have a Bible or a Bible app on your phone, please go to Paul’s letter to the Romans, chapter 3, beginning with verse 9. Romans 3:9. In this letter, Paul addresses a perception among the Jewish Christians that they are somehow a step up or more advantaged than the Gentiles because of their heritage and Paul brings them back down to Earth. He tells them that because they ARE Jewish not only do they not have a step up, but they have a greater responsibility toward the law than the Gentiles do. He tells them that just because by birth they are part of God’s chosen people does not make them any different than the Gentiles who have accepted Christ as their savior because both are equally unrighteous. And that’s where we pick up in our reading today. There is no one righteous. Not even one. Not Jewish or Roman or Greek. Not Mother Theresa. Not Billy Graham. Not the Pope. Paul is trying to impress upon us that all of us are flawed. None of us can escape the fact that we are all sinners. At one time or another each of us has done something that would disappoint God without exception and that something drives a wedge between us and God. You might think, “Yeah, but I’ve never done anything THAT bad. Sure I might not be perfect, but it’s not like I’m a killer or anything.” But that is God’s standard. Perfection. Jesus tells us that himself in the Sermon on the Mount. He tells the crowds, “Be perfect, therefore, as your heavenly Father is perfect.” That’s why no one can live up to the standard that good people go to Heaven because the standard is just too tough. No one can live up to the standard that good people go to Heaven because the standard is just too tough. How do we know how good is good enough? If we can’t tell from God’s word, if we can’t use our own internal compass or barometer, and if we can’t even use the Bible, then how do we know how good is good enough? And that’s what God is challenging us to think about today. That if we are going to assume that good people get to heaven, then we have to realize that assumption has a whole lot of problems that we can’t ignore. If we are relying on this “good people go to Heaven” theory, then we may be barking up the wrong tree. So if we can’t rely on THAT theory, then what do we believe? Here’s one. Here’s something that Andy Stanley said, “Good people don’t go to Heaven. Forgiven people do.” Good people don’t go to Heaven. Forgiven people do. We’ll talk more about that next week. But for today, as we approach the table this morning and share this bread and this wine with churches all over this world, let us come forward with the realization that we all need forgiveness and that only because we believe in a forgiving God do we have the hope in Christ that we have. In the name of the Father and of the Son and of the Holy Spirit. Amen.